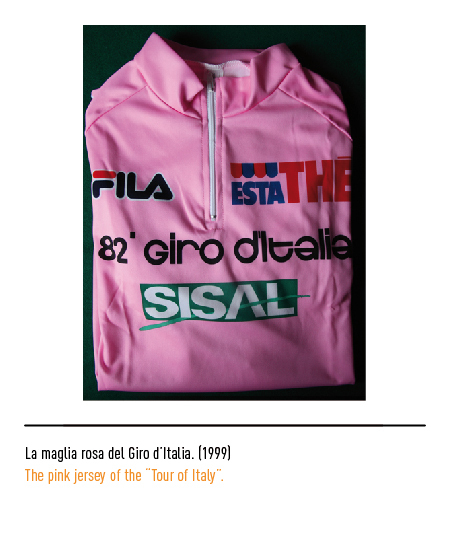 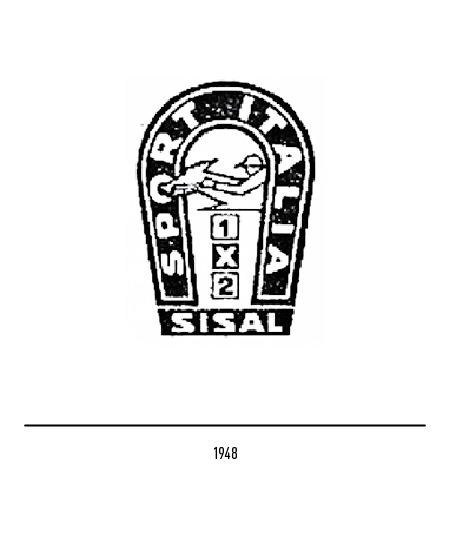 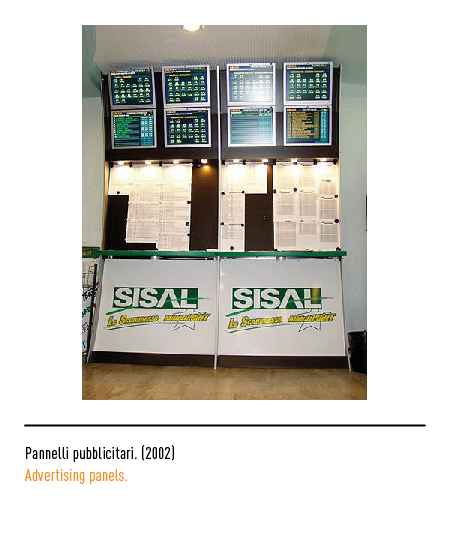 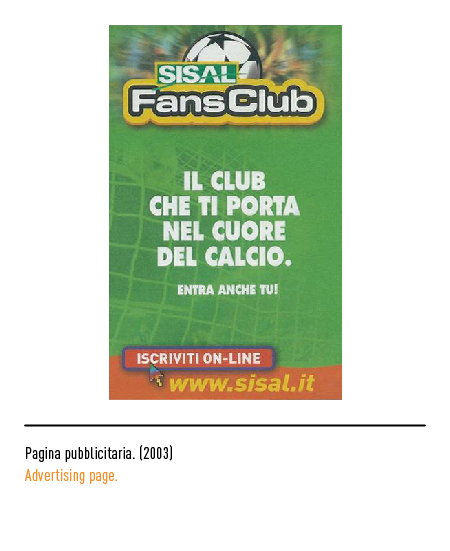 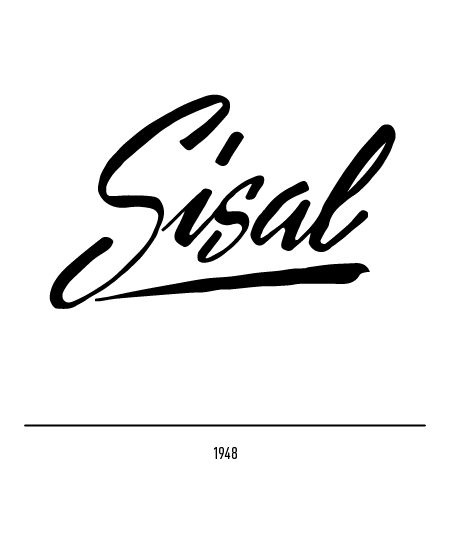 Sisal (partial acronym for "Sport Italia Societá A responsabilitá Limitata-Responsibility limited Italian Sport society) was established in 1946 as manager of the major betting contests. 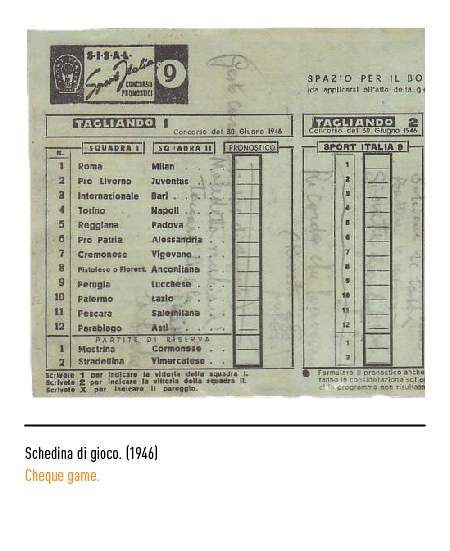 It was based on the idea of the sport journalist Massimo Della Pergola along with Fabio Jegher and Geo Molo, which made up the first betting contest concerning soccer; with the profits obtained with the selling of the "Schedina" (the piece of paper on which one states its bets) Sisal contributed to the rebuilding of the Italian stadiums destroyed by the war. 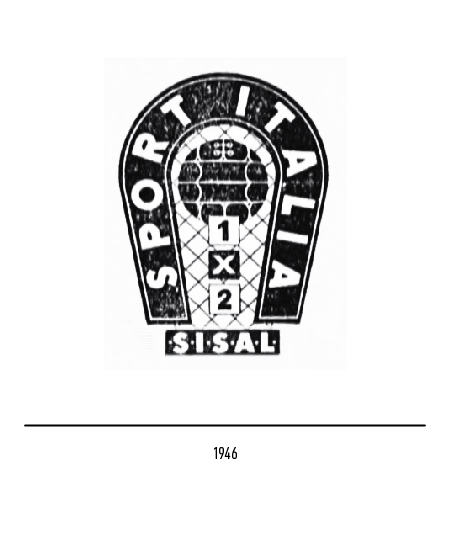 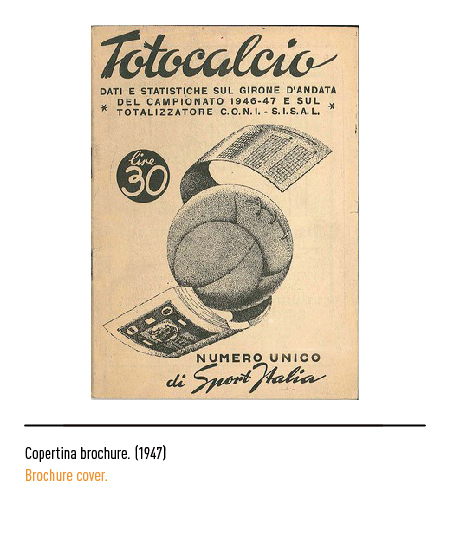 The first logo consisted of the lucky symbol of the horseshoe with Sport Italia written in black capital letters on a white background; on the inside, a soccer goal with a ball inside and further down, thee squares with the three symbols "1 X 2" and the word Sisal. 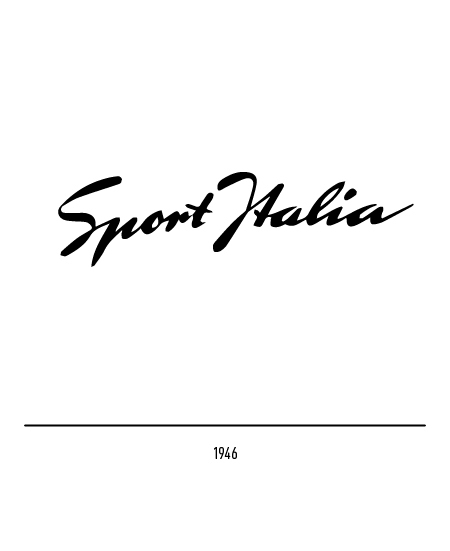 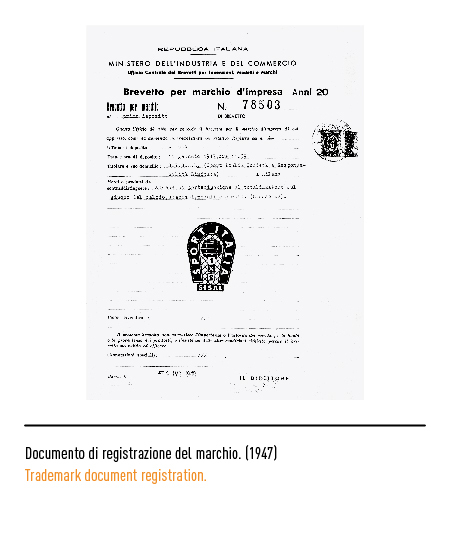 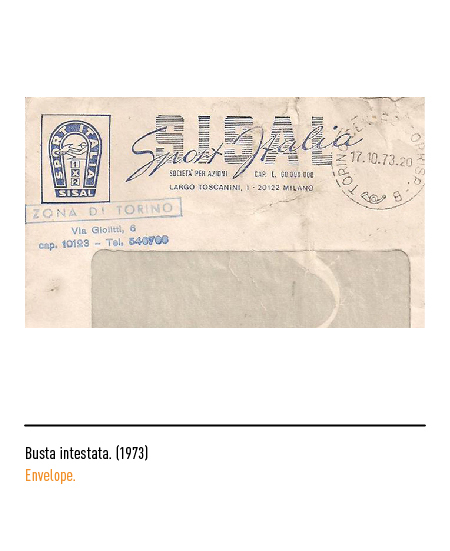 Such logo contained the calligraphic logotype "Sport Italia", typical of the period. 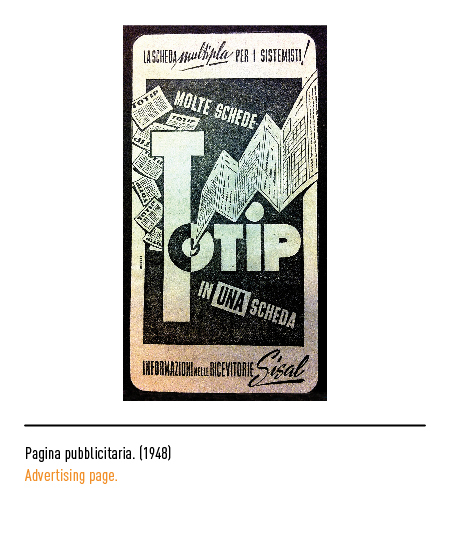 In 1984 the Totip comes to life, a betting contest based on horse races ; as for the Totocalcio, the same logo carried inside the horseshoe a jockey on a horse. 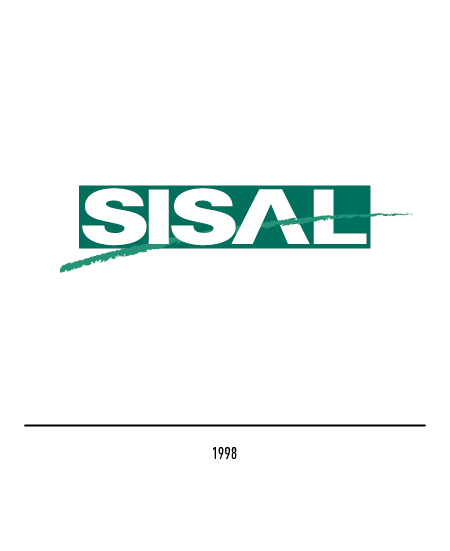 After almost half a century the logo was in need of a restyling so to fit the current period ; in 2001 the logo is presented in capital white letters in a green rectangle and a coarse line going through the text. 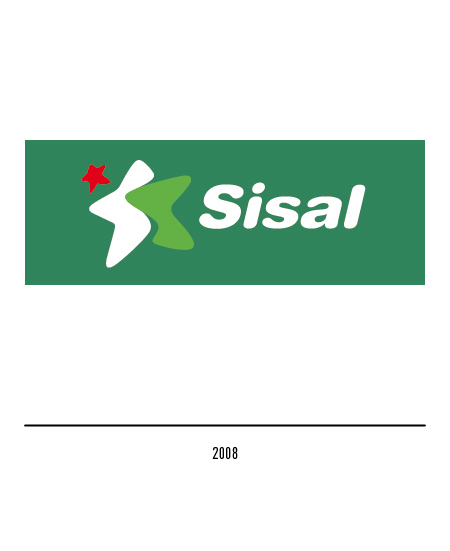 In 2008 yet another restyling, focused on the star as symbolic element, born by the blending of two elements (one of two different greens and a smaller red one), while the logotype appeared skewed and round; Sometimes the negatives were used, so to emphasize the Italian tricolour, even though with inverted colours. 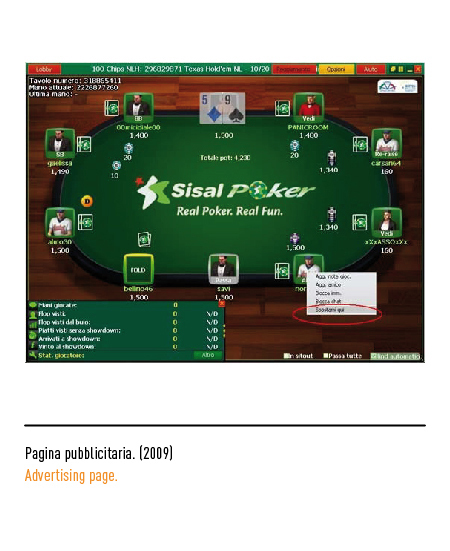 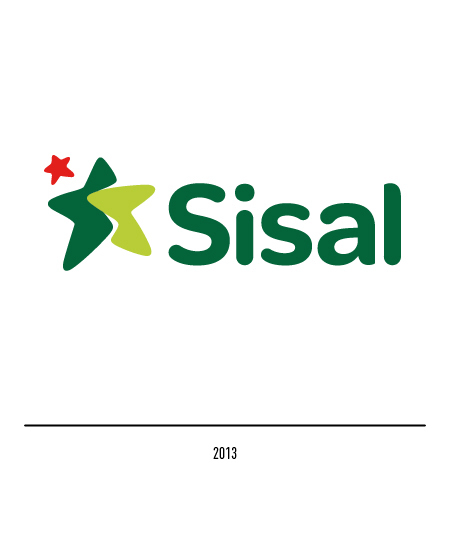 In order to represent the new policy of the brand, able to offer its customers a full range of betting contests and amusements, to enjoy in a safe and responsible way, in 2013 Sisal appoints the agency Landor to the restyling of the logo. 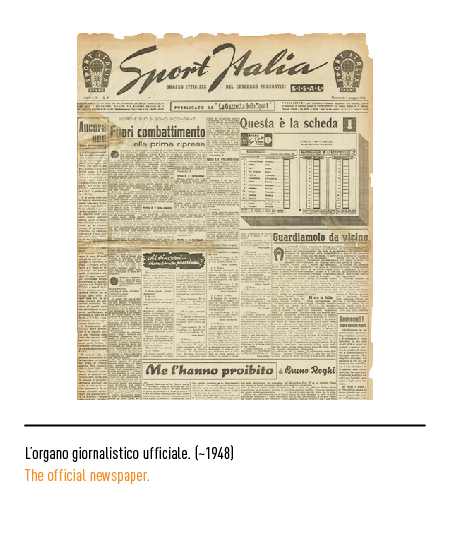 The colours are modified, the star reset and the font is substituted, eliminating the skewing which had characterized it. 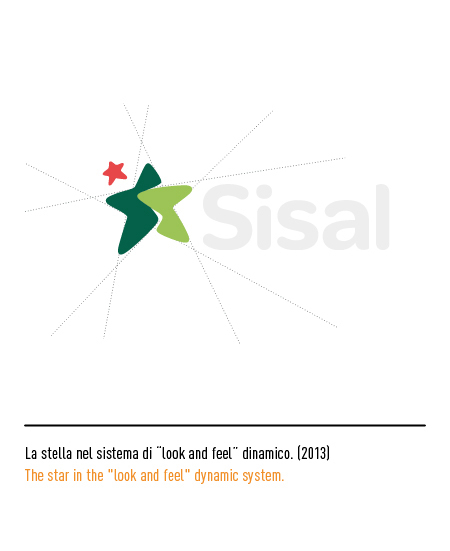 The Sisal star was the starting point to create a system of dynamic, versatile and coloured "look&feel", based on the concept of irradiance. 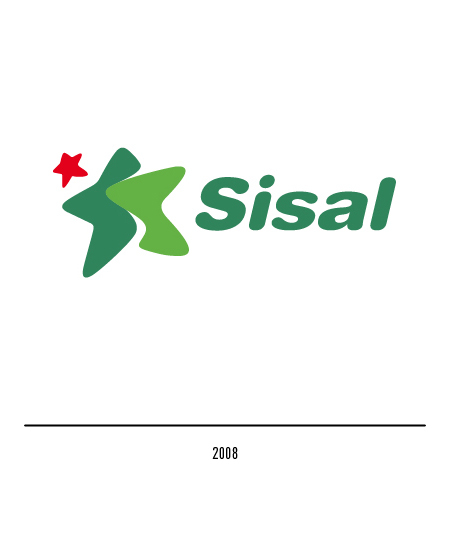 In 2009 the logo is modernized, with chiaroscuros and the letter P bigger than the others. 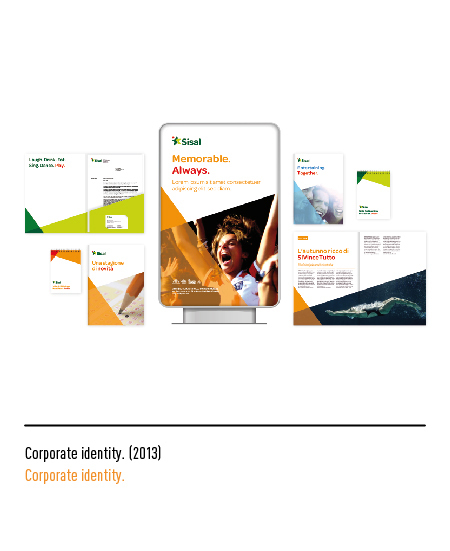 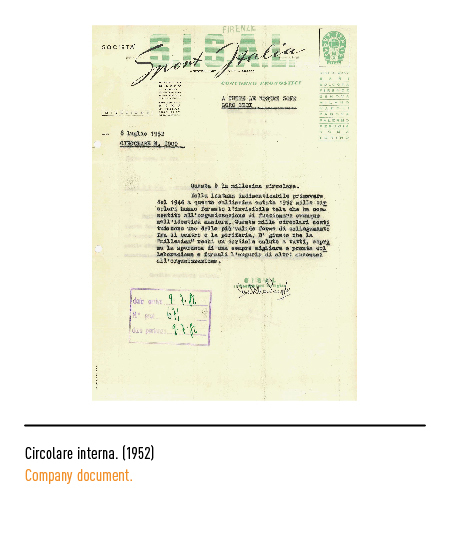 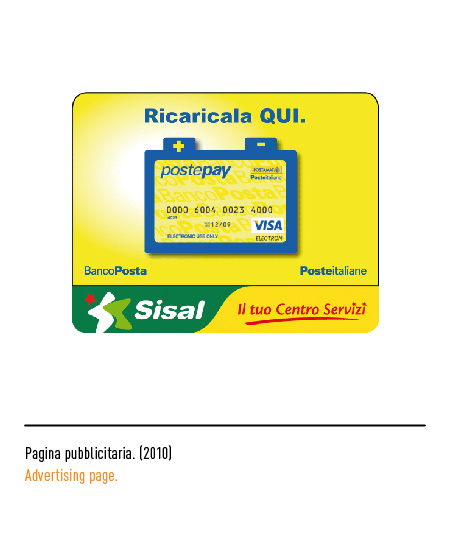 Manuale di Corporate Identity, agenzia Landor, 2013.